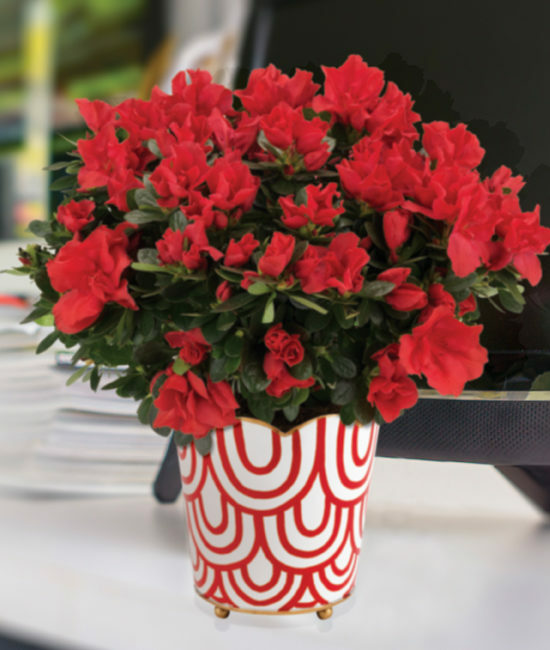 A bevy of bright red blossoms is the best way to celebrate a birthday, congratulate a friend, send get well wishes or add cheer to your own home. 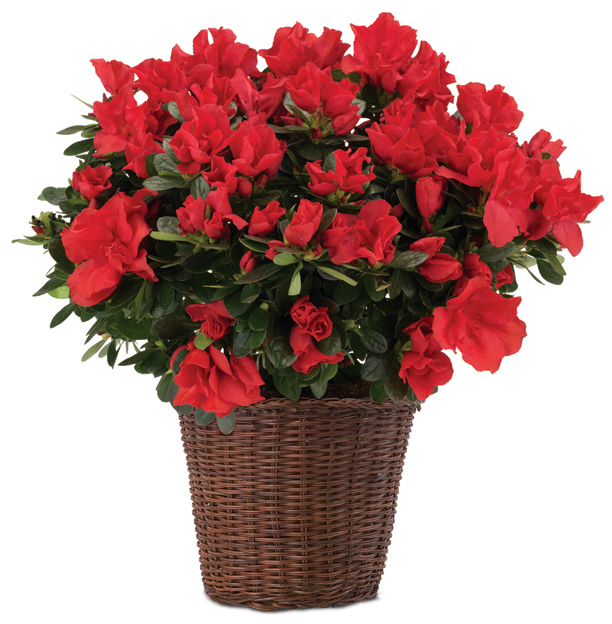 The Prize azalea is a popular variety for us. It’s a spirited plant arriving with dozens of buds ready to pop into pretty red petals, and the long-lasting azalea looks positively pretty as can be in our hand-painted red and white cachepot.